I think these are delicious. I think you should try them. 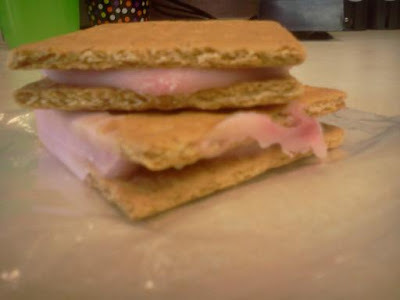 It is 1 tablespoon of your favorite yogurt (I have not tried these with Greek, only regular) and a graham cracker. The ones I made have 77 calories in them, but will vary depending on the yogurt and crackers.